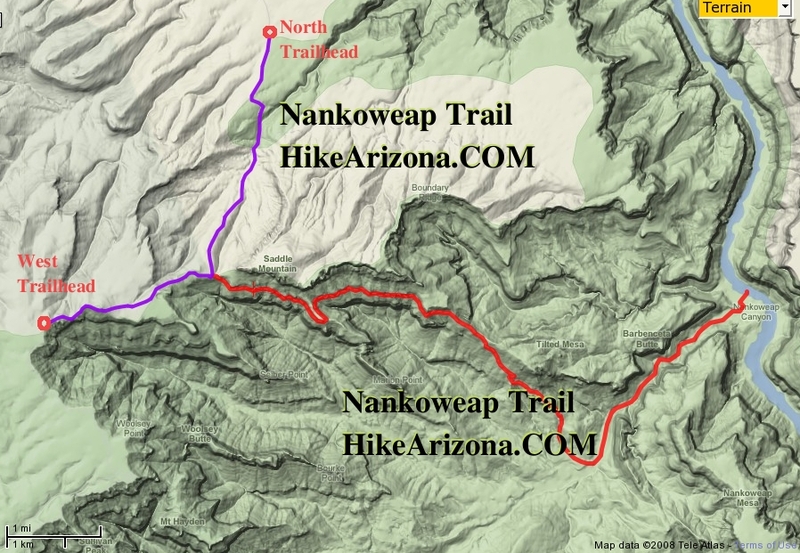 Nankoweap Trail #57 is a 5.1 mile one way hike with a 2425 ft drop in elevation. Located 19 miles north-northeast of Grand Canyon Arizona. May and June are the best months to enjoy this hike. This trail has a west and north trailhead. This trail is used to access the National Park's Nankoweap Trail the runs down to the river. The NPS declares it's 3.0 miles from the west and 3.5 miles via the north trailhead.